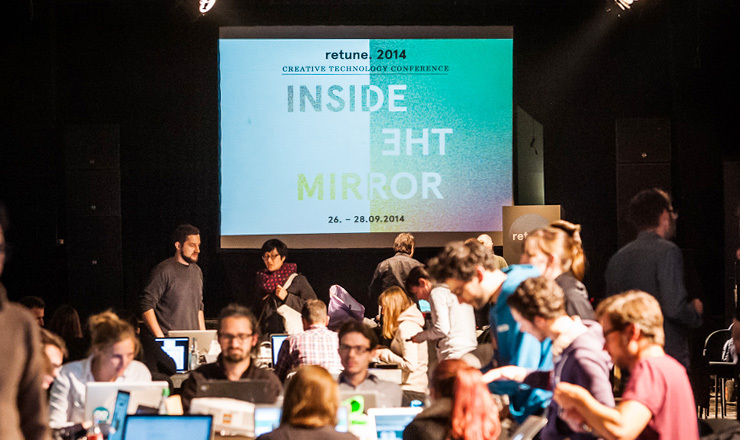 Based on the book Prototyping Interfaces, Jochen Leinberger and me provided a 1-day-workshop at the retune conference 2014. 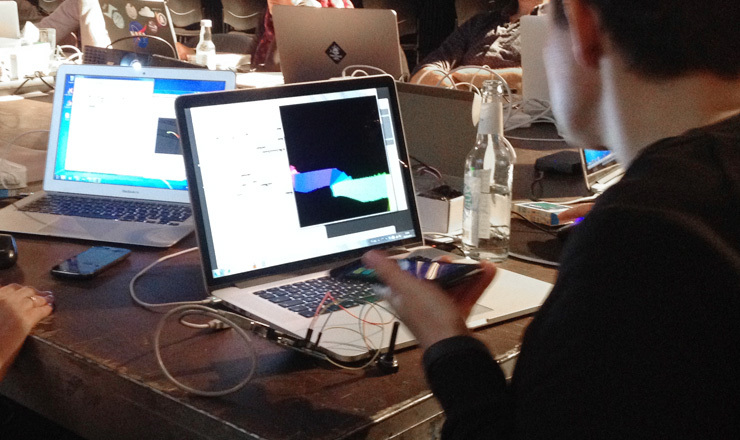 In this workshop the participants learned the basics of the visual programming language vvvv and how to connect it with the Arduino-Board as well as with a smartphone. Within 6 hours the main goal was to give the participants a jumpstart into the field of creative prototyping without textual code. 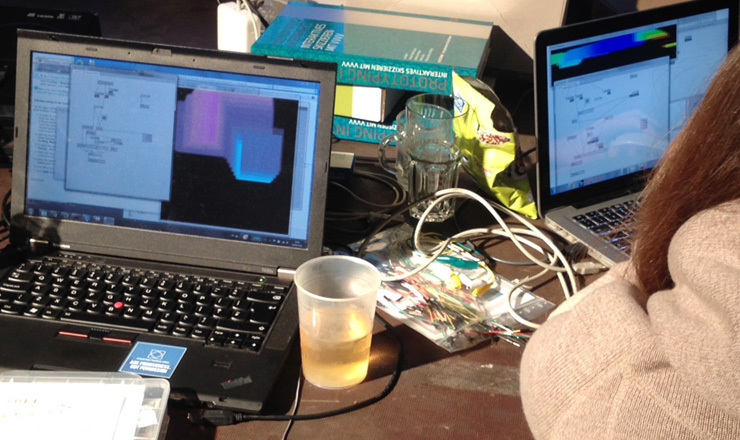 In the first part the participants learned the main functions of vvvv. How to control datatypes, such as "values", "strings" and "colors". As well as main nodes, like the "LinearSpread" or the Mouse Input, were shown to create different simple animations. In the second part the Firmata Node has been shown to connect vvvv with the Arduino Microcontroller. 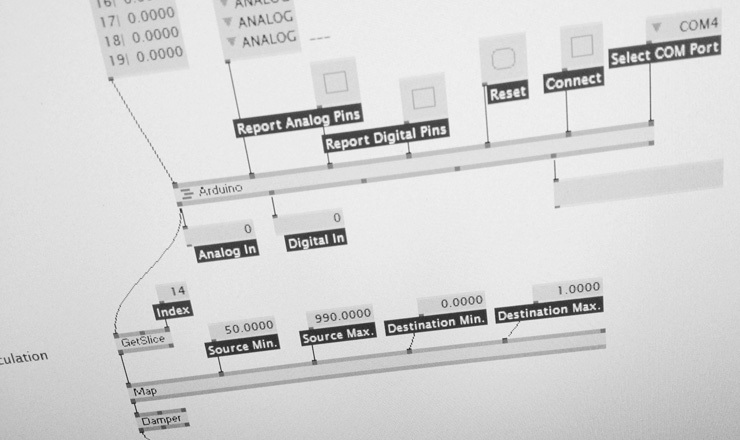 The main goal in this section was to give the basics how to control sensors (Input-Media) and actuators (Output-Media) with the Arduino Baord. The participants have built up simple Potentiometers and controlled visual outputs with it. The topic of the last part was to use the accelerometer-data of the smartphone. 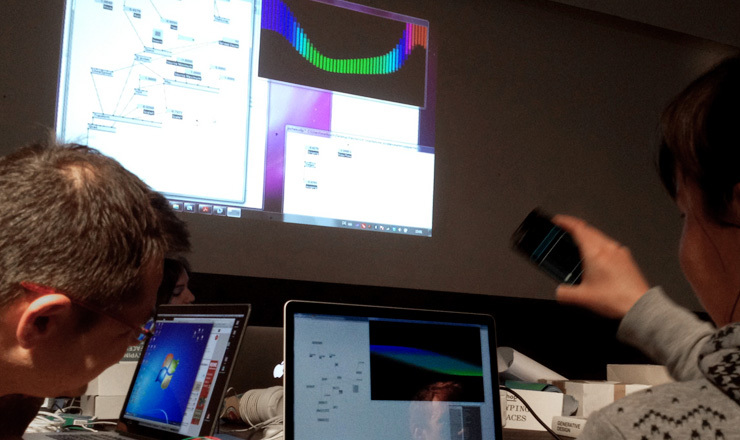 Using the WiFi-Interface, the participants grabbed the data of one iPhone and controlled different animations. The app "Touch OSC" was used here.